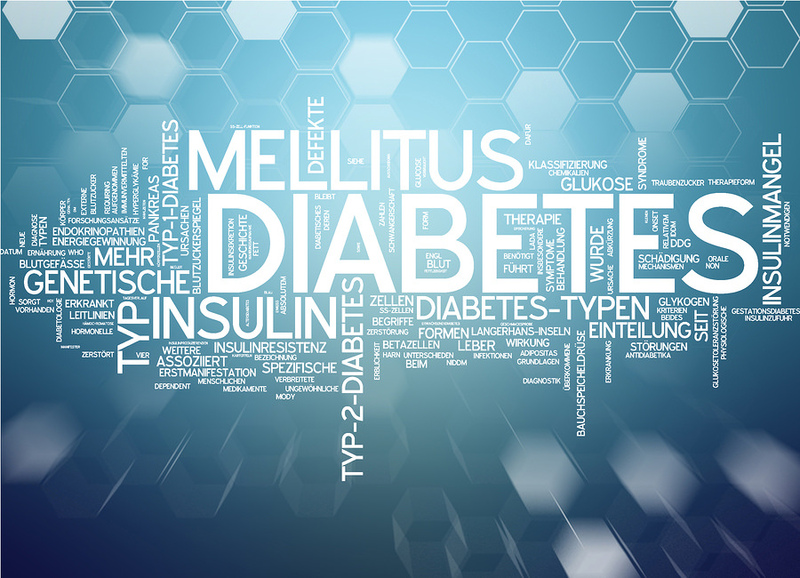 Diabetes mellitus is a group of metabolic disorder characterized by hyperglycemia. Hyperglycemia in diabetes is due to deficiency of insulin in the body, lack of insulin action or due to both. Diabetes is a major cause of end-stage renal disease in the United States. According to WHO, 422 million(the year 2014) People have diabetes worldwide. Diabetes mellitus is divided mainly into two types type 1 and type 2. 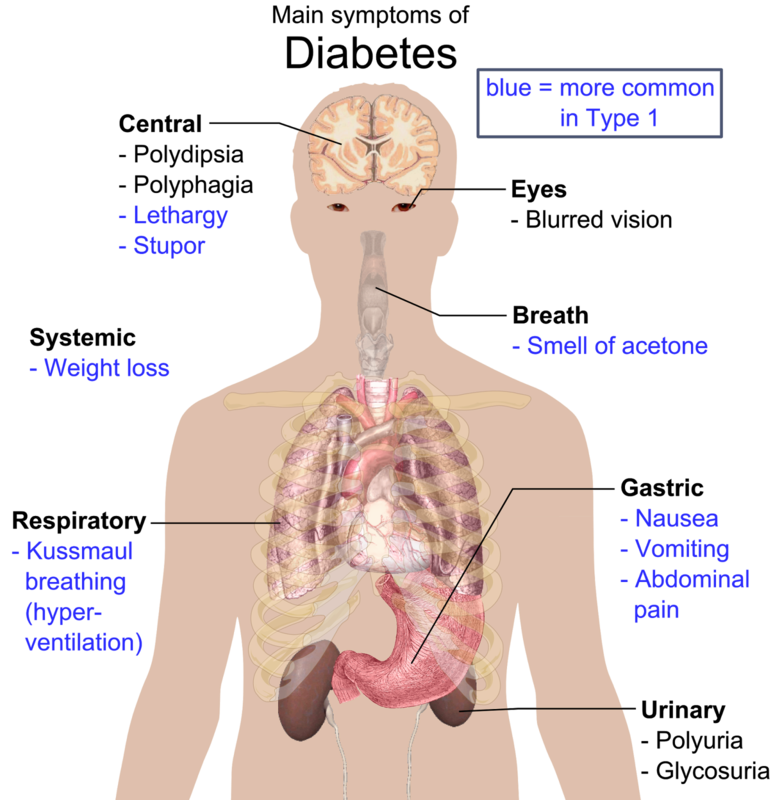 Type 2 diabetes, mainly occurs in Obese or overweight persons. It is caused by peripheral resistance to insulin action and a decrease secretory response by the pancreatic β cells.The majority of Diabetic patients(90-95%) Have type 2 diabetes. As previously mentioned Type 1 diabetes mellitus is an autoimmune disease beta cell of the pancreas is destroyed by autoantibodies formed against beta cell antigen. Two factors are described for the pathogenesis of diabetes mellitus genetic factors and environmental factors. Genetic factors- gene studies in monozygotic twins established genetic predisposition of type 1 diabetes. HLA locus present on chromosome 6p21 is associated with type 1 diabetes mellitus and consider to contribute 50% of genetic susceptibility to type 1 diabetes. 90 to 95% children with type 1 diabetes have either DR3 or DR4 haplotype of HLA gene. Children with combined DR3/DR4 heterogeneous genotype are at higher risk of having type 1 diabetes. The role of insulin gene present on chromosome 11 is the second most common genetic susceptible factor in type 1 diabetes individuals. Shorter VNTR(variable no. Of tandem repeat) Present in the Promoter Region of insulin gene is associated with type 1 susceptibility, whereas Longer forms are associated with protection. CTLA-4(on chromosome 2) And PTPN22 genes and their association with autoimmune thyroiditis are also considered to contribute susceptibility to type 1 diabetes. Environmental factors - viruses are major environmental factors triggering diabetes.individuals who have a past infection of Rotavirus, enterovirus, rubella virus are at greater risk of type 1 diabetes.epitopes of these viruses are similar to islet antigen, the immune response against these viruses produce antibodies which cross react with islet antigens and destroy islet tissues. Type 2 diabetes develops because of Insulin resistance and inability of beta cells to secrete insulin in the hypoglycemic state. Insulin resistance is the unresponsiveness of peripheral tissues(muscles, liver and adipose tissues) Two insulin Genetic factors, environmental factors and proinflammatory state are involved in the development of insulin resistance. Genetic factors- first degree relatives have higher chances of developing diabetes mellitus than those without a family history. 30 loci have been identified which plays an important role in the development of type 2 diabetes. Environmental factors- Obesity is the major risk factor in the development of type 2 diabetes. 80% patients with type 2 diabetes are obese. Obesity plays an important role in the development of insulin resistance. Pro-inflammatory state- In an obese person, pro-inflammatory cytokines are released in the response to excessive glucose and free fatty acids, These cytokines damage beta cells and increases insulin resistance which results in increase blood glucose level. In this process cytokine IL-1 beta release from activated macrophages and stimulate the release of pro-inflammatory cytokines from. GESTATIONAL DIABETES- diabetes during pregnancy is known as gestational diabetes. Polyuria and polydipsia, glycosuria - polyuria is the production of large volumes of dilute urine because kidney can't able to reabsorb all glucose (due to hyperglycemia) In the patients with diabetes, which passes through the kidney. Therefore, glucose is excreted in urine(glycosuria). Glucose is a powerful osmolyte which forces water to follow its path that's why excessive water is pro-inflammatory with glucose in the patient of diabetes. Excessive water loss results in increased thirst (polydipsia) In the patients with diabetes. Fatigue or tiredness- fatigue in all diabetics is because of increase or decrease blood glucose levels. The increase in the blood glucose level(due to deficiency of insulin) Increases viscosity of blood this makes difficult to reach nutrients and oxygen to the cell. Because of deficiency of insulin glucose uptake decreases in muscles. all these factors lead to tiredness in the patient of diabetes. weight loss- cells can't able to utilize blood glucose, therefore, stored fat and glycogen in muscle is depleted and result in weight loss. In the case of low blood glucose level cells have not sufficient glucose to produce energy. Without energy cells become tired. These are those patients who are on oral medication for treatment of diabetes. Increase appetite -cells utilize insulin for the production of energy. In the absence of insulin in diabetic patients, cells can't take insulin because of insulin transport glucose in the cells. Because of lack of glucose at cellular level patient become hunger in spite of the presence of sufficient glucose in the body.